This recipe for Mini White Chocolate Mousse Holiday Pies is a part of the #HolidayMadeSimple campaign and has been compensated by #CollectiveBias. As always, all opinions are my own. Last week I mentioned that Ryan was preparing for his pre-lim exam. For the exam, he had to give an oral presentation about his past research to a handful of chemistry professors while they grilled him with questions. They also determine if his purposed future research plans are good enough to allow him to continue on with his program. Well, great news – he passed and I’m so proud of him!! I knew he was going to pass, but it feels extremely great now that the pressure is off, and I wasn’t even the one having to do everything for it! Although Ryan’s pre-lim is over, the hustle and bustle of the holiday season is just beginning for us, do things ever slow down?! 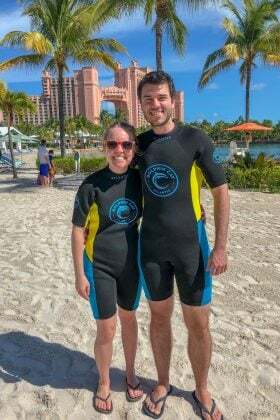 We have Ryan’s birthday and a christmas party this week, caroling week next, gifts to wrap and then we’re making the long drive back home to be with our families for Christmas. 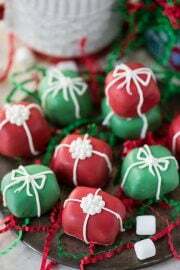 Between everything that is going on, who has time to be in the kitchen making 40 candy cane oreo balls? 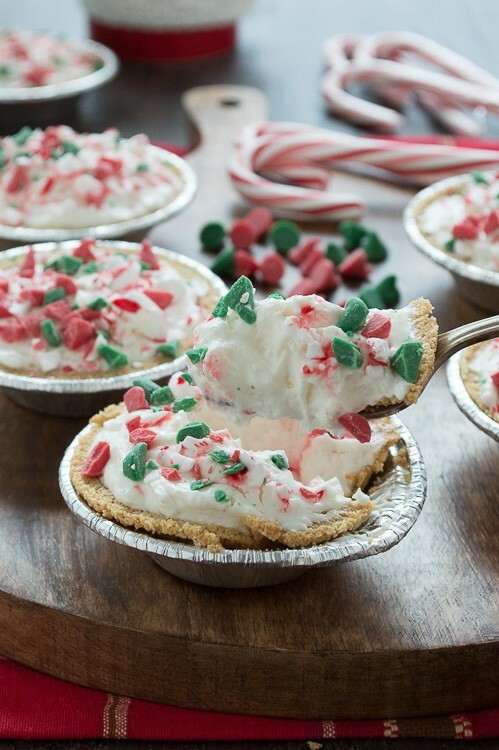 Oh yeah, that was me :) While I adore those candy cane oreo balls and I really hope you get a chance to make them, a more practical and time friendly holiday recipe are these no bake mini white chocolate mousse pies! 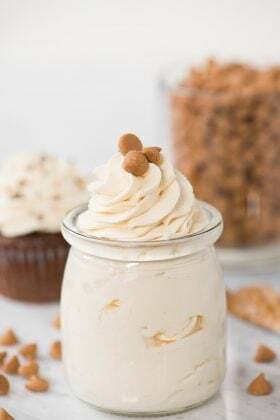 I bought Nestle Toll House Limited Edition Holiday Morsels from Walmart to add some extra holiday cheer to this recipe, and the chips really stand out against the white chocolate mousse! 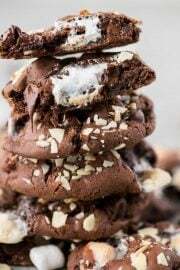 I really love Nestle’s holiday chocolate chips, they make any recipe feel more christmasy. They are only available for a limited time, so pick some up the next time you’re at the store! While you’re at it, add some Edy’s Limited Edition Peppermint Wonderland Light Ice Cream to your cart. 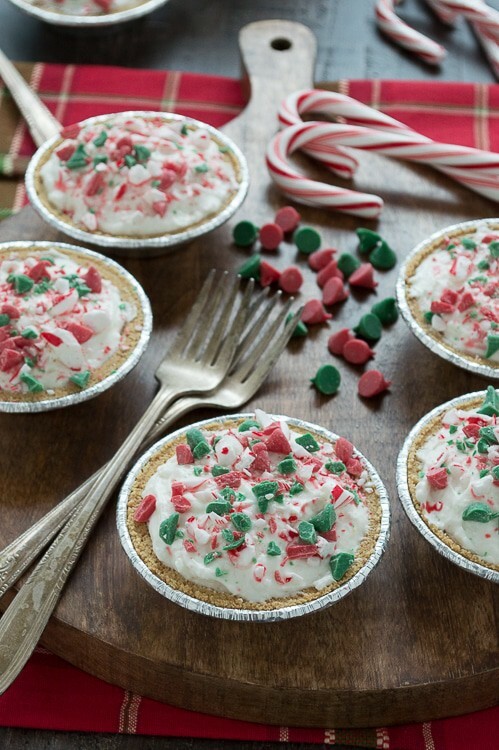 They are real peppermint pieces in the ice cream, and if you pair the ice cream with these no bake pies, you can scoop, eat, and be merry all season long! Get more Christmas baking inspiration here! 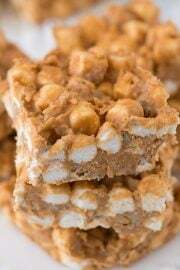 In a small saucepan, heat the milk and white chocolate baking bar over low heat. Stir constantly until the chocolate is melted and smooth. Let this mixture cool while you mix the pudding. In a mixing bowl, combine the box of pudding and 1 & 3/4 cup milk with an electric mixture. Add in the melted white chocolate mixture and stir to combine. All the mixture to set in the refrigerator for 30 minutes. Once set, scoop the white chocolate mousse mixture into the pre-made pie shells. Top with chopped holiday morsels and candy cane pieces. 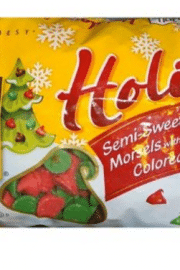 Those Holiday Morsels are SO cute!! 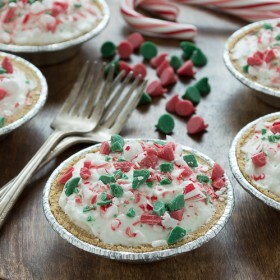 I am totally in love with these pies! Pinned! Why can’t red and green be cool all year long?! Thanks for pinning Taylor! 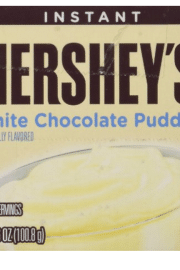 Oh my gosh, white chocolate pudding is favorite! And look how cute and festive they are! I want to eat them all day long! :) :) If only in our dreams we could.. 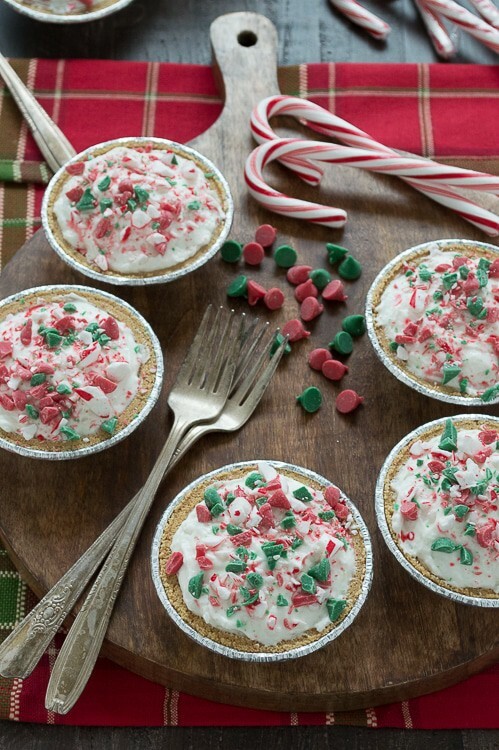 These white chocolate mousse holiday pies look so so cute, my dear! All your holiday treats are awesome!!! Pinned! Thanks for pinning, I appreciate it! I love a recipe that requires you to nap in the between time. Love it. I’m a huge white chocolate fan when it comes to desserts like this. They just look so pretty plus they taste amazing. YAY for chocolate mousse! These are super gorgeous Beth! Such a fun and festive idea! Congrats to Ryan for passing, so much pressure… These tarts would be perfect for a party. I will pass the congratulations on, thank you Laura! Congrats to Ryan, that is such great news! 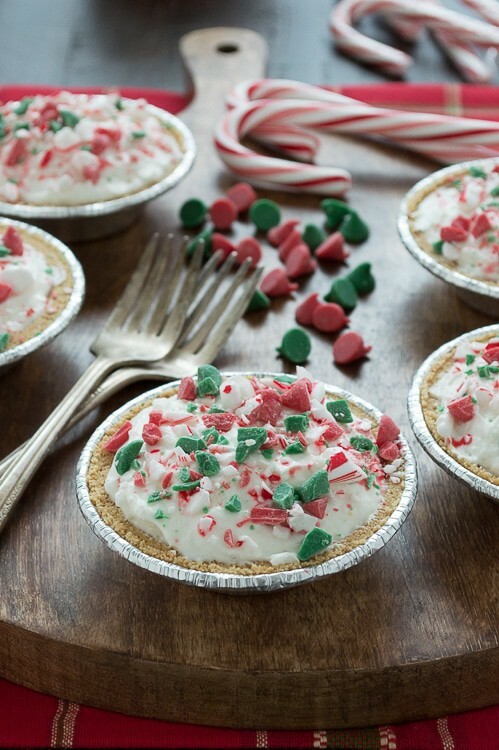 I love these little pies – they are so adorable and festive! Thank you Cate, we’re all super excited for him! What a scrumptious holiday dessert! 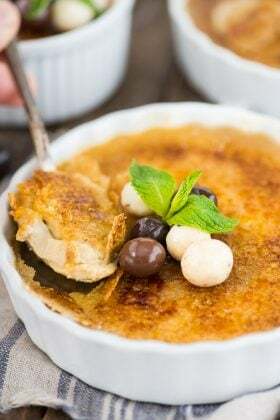 The white chocolate pudding, the Nestles morsels make these mini pies so irresistible! I know! I wouldn’t tell you how many I ate! No it never slows down! Congratulations to Ryan too. Perfect recipe for the holidays! 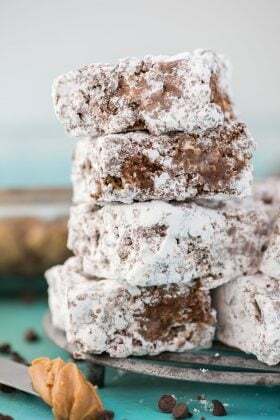 These look like the perfect easy holiday dessert! Those red and green chips are so festive! They really are easy!! And those chips, I know!! Beth I have a question. They make the mini shells in packs of 6 I haven’t found any that contain 8. Unless you want to help me out and tell me that brand you got . I definitely agree, easy and you can double it to feed a crowd! Congrats to Ryan! With these treats, you have a lovely way to celebrate. Hey, these look amazing. Just curious if you really require to serve them immediately ? If I made them christmas morning and were to serve them christmas evening would they still be ok? Hi Jessica! I would not put the chocolate chips on until you serve them! 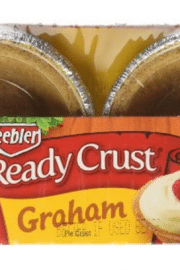 Go ahead and make up the filling, you could store that separately and add the filling to the crusts before serving, then add the chocolate chips!